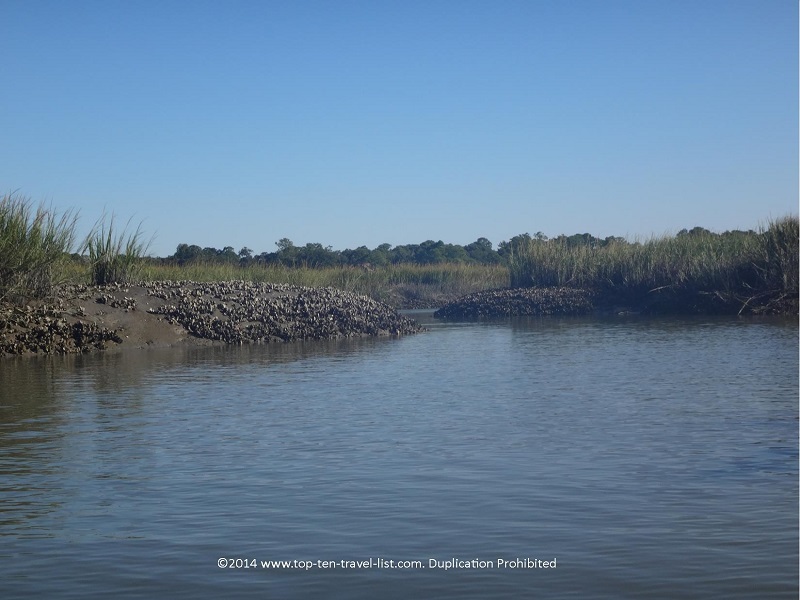 A Scenic Kayaking Adventure in Hilton Head Island - Top Ten Travel Blog | Our experiences traveling throughout the US. 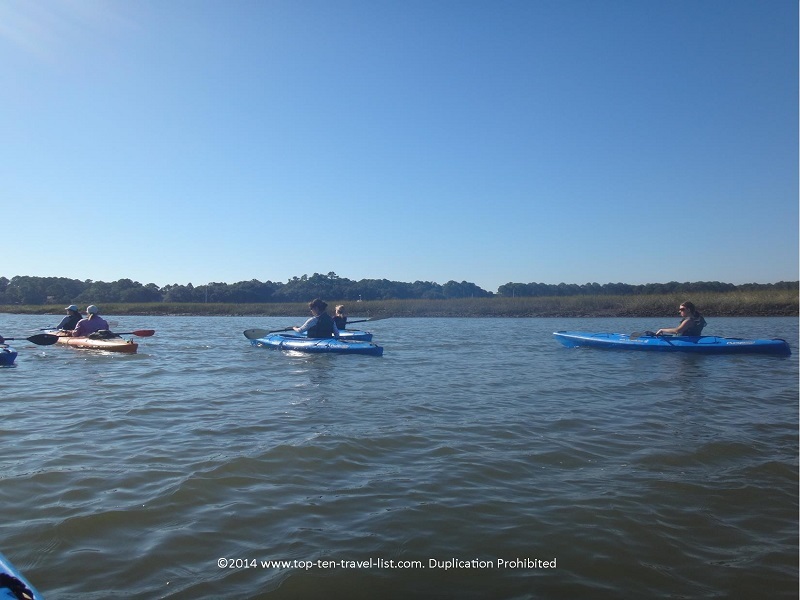 Although there are many wonderful ways to explore beautiful Hilton Head island, one of the most relaxing, exciting, and picturesque ways to do so is by taking a guided kayaking journey. 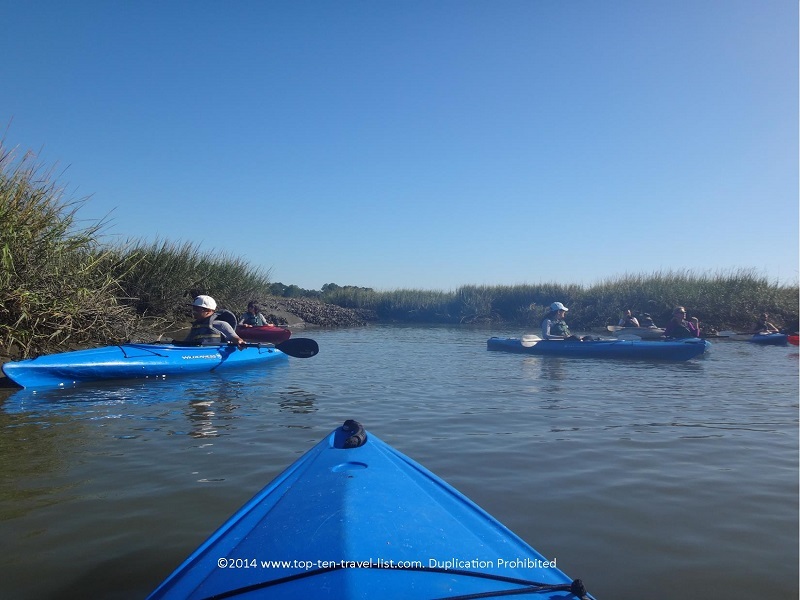 Even if you are already a seasoned kayaker, taking a tour allows you to learn more about the local plants and wildlife found in the area, along with a little bit of history about the area. 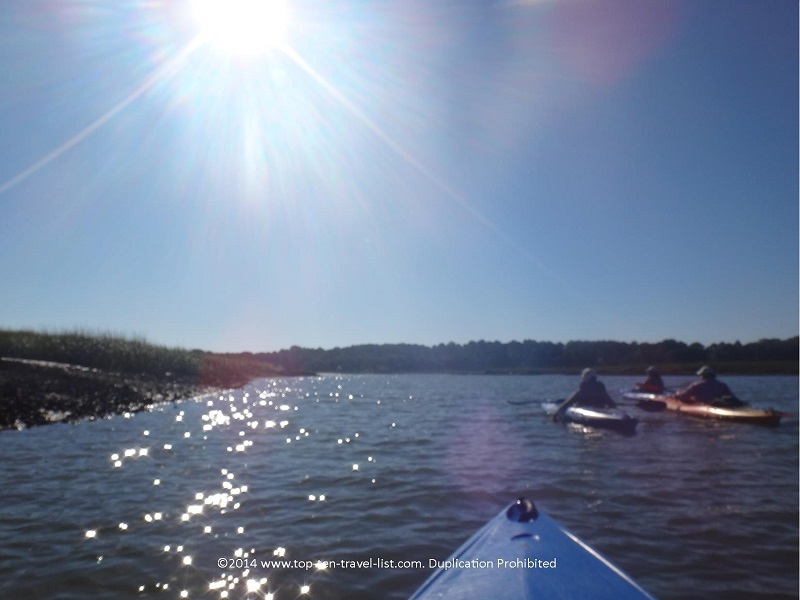 Kayak Hilton Head offers a wonderful 2 hour narrated tour through a salt water estuary known as Broad Creek. It is one of the most popular dolphin feeding areas on the island, so sightings are very common. Unfortunately, we did not see any during our trip. 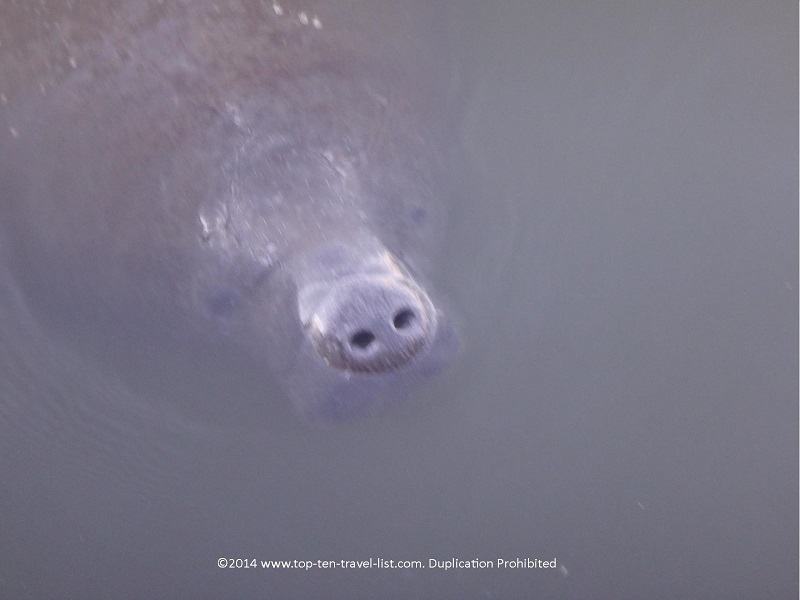 We did however see a manatee by the decks before boarding the kayak. The manatee was playing around with the boat and did not want to leave! I have never seen a manatee up close so this was an interesting experience. We also saw a mink along the way, however, that was the extent of our sightings. The water you kayak through is pretty still with only sight waves, a bit more so when a boat passes. Because it is not near the ocean, the winds never get too extreme and the water never gets too rough to take the kayak out. Your guide will give a brief instruction on how to paddle before going out to the boats. It can be a bit tricky for beginners to take in all at once, however, you will learn more once you get out into the actual water. 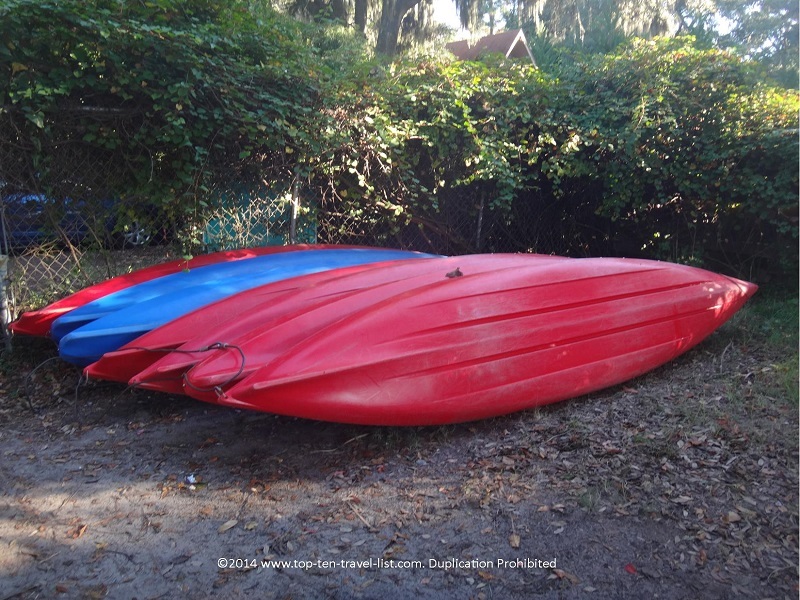 Single and double kayaks are available. I recommend beginners take a double kayak as it is easier to maneuver with 2 people, and if you get confused you have someone else there to help guide you along. You have the option of taking a morning, afternoon, or evening trip. During the summer months, sunset tours are available. We took the 9:00am cruise, which was perfect weather wise. We experienced a nice cool breeze that came in handy after working up a sweat paddling. The best part of the tour is the peaceful views of the creek. I took as many pictures as I could, however, snapping pictures while constantly moving wasn’t very easy. Your life-jacket has a small pocket for a camera, although I would only bring a waterproof camera if any, due to the slight splashing in the boat. If I had any negatives, it would be that the tour was a bit more geared towards intermediate kayakers. The instructions at the beginning were pretty quick. Also, the tour guide was not audible to everyone as some people were ahead and others were behind. It would have been nice if the tour could have stayed more together as a group. Overall, it was a great time and prices were very affordable (only $28 per person). 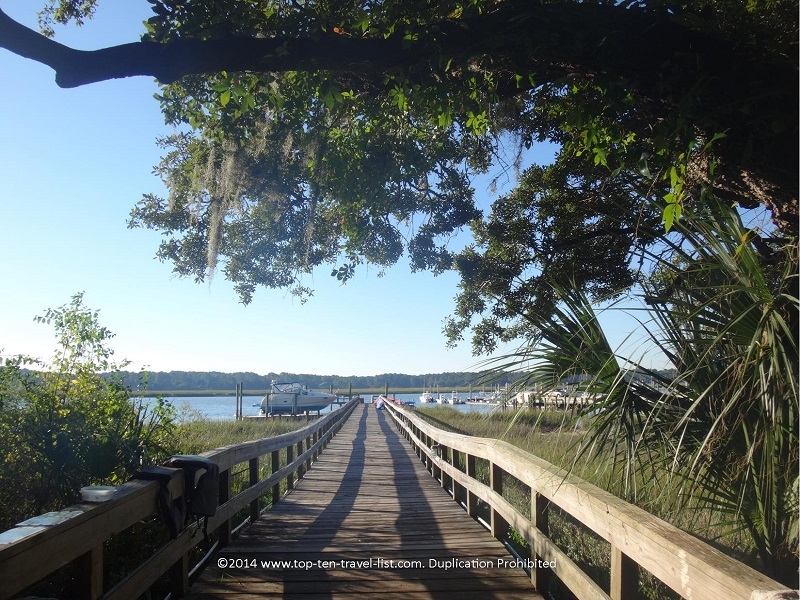 I would definitely recommend a trip with Kayak Hilton Head on your first or next vacation to the area. 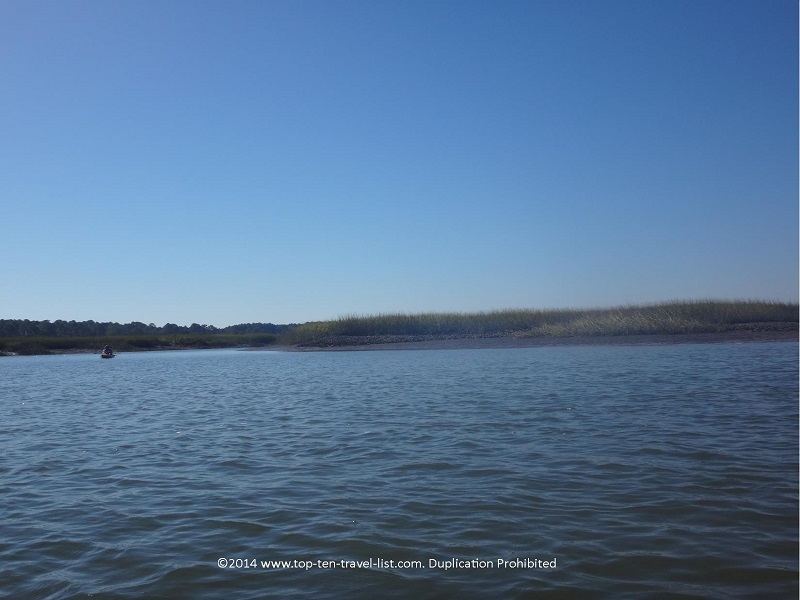 In addition to kayak tours, dolphin cruises with guaranteed sightings are available. 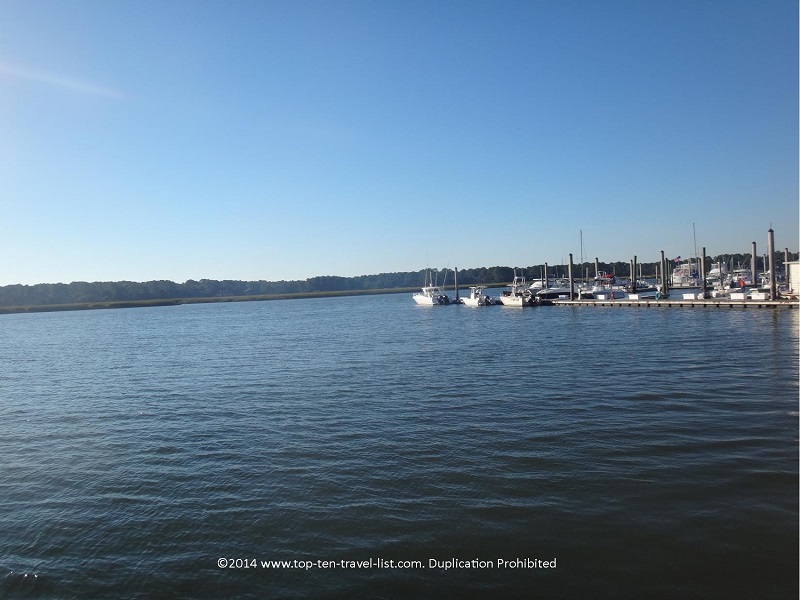 Additional options include: sunset cruises, shark fishing excursions, and crabbing excursions. 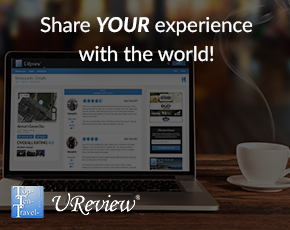 Prefer to explore the area alone? Kayaks are available for rent at the rate of: $10 per hour for single kayaks and $20 per hour for double kayaks (a 2 hour minimum is required). Reservations are required for any tour. Tour times vary based on the season. 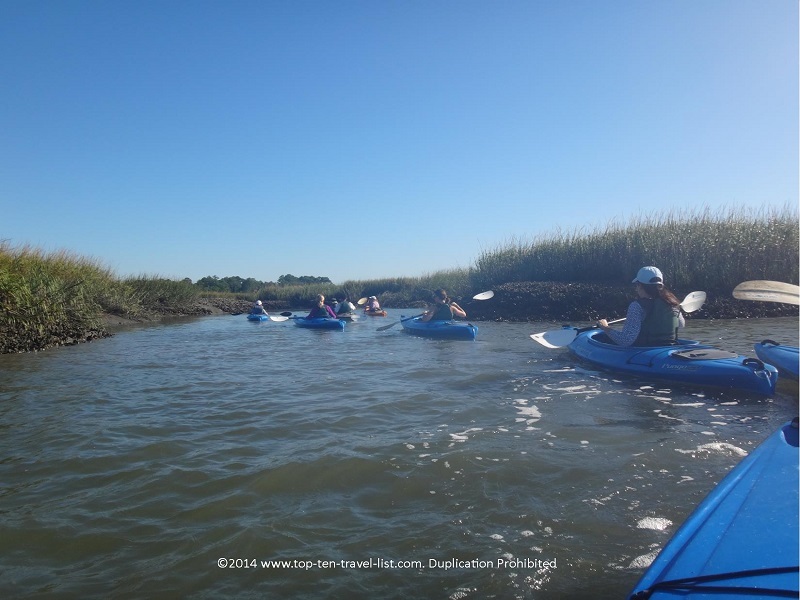 Visit Kayak Hilton Head website to reserve your spot. 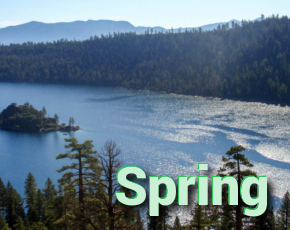 You must mention the special $28 per adult/$14 per child rate to receive this special deal (normal prices are $43 per adult and $28 per child).